The detail on the dollhouse bench is lovely from the delicately hand painted flowers to the carving and gilding both inside and out. 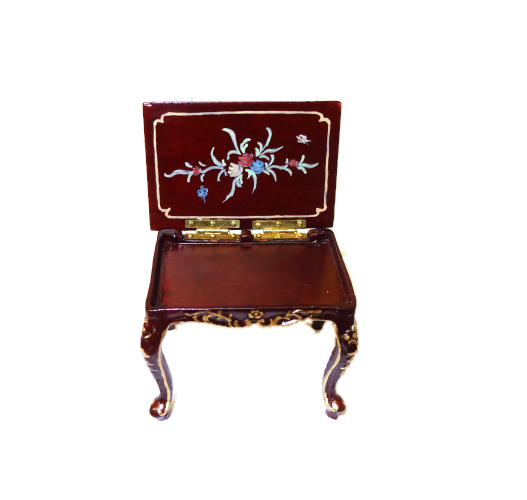 The bench is hand painted and even opens so you can put your mini sheet music inside. Won't this beautifully handpainted bench look lovely in your own dollhouse music room or parlor? The miniature bench is 1 7/8" long, 1 1/4" wide and 1 1/2" high.